Comments: "The thought was this: that all my life had been murk and depths, but I was not a part of that dark water. I was a creature within it." "Until that moment I had not known how many things I feared." "But there was no wound she could give me that I had not already given myself." There are SO many things I could say about this book... 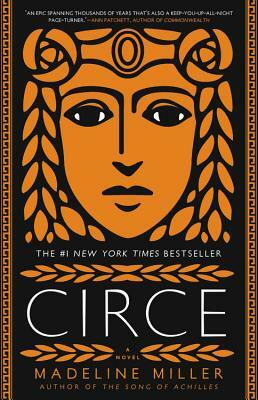 I identified with Circe and LOVED being in her world. It's a journey that does take you on adventures that involve Gods, Odysseus, mythical beings and some evil doings ~ yet feels quite real and deep in ways more contemporary than expected. Circe is unforgettable for sure.